Although we're surrounded by computer devices, students entering college to become the next generation of programmers, roboticists, and tech startup founders are less prepared than ever. Consuming software applications hasn't offered the same benefits that programming, tinkering, and experimenting offered previous generations. The Raspberry Pi is a small, low-cost computer that was invented to encourage experimentation. The Pi is a snap to set up, and using the free Python programming language young readers can learn to create video games, control robots, and maybe even write programs to do math homework! Hello Raspberry Pi! is a fun and imaginative way for kids to take their first steps programming on a Raspberry Pi. 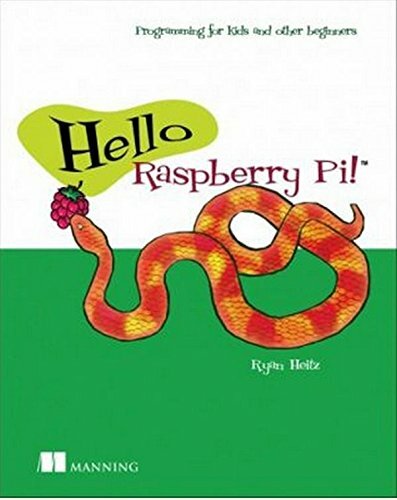 The book starts by showing how to set up and navigate a Raspberry Pi, then moves quickly to Python programming, teaching basic concepts through humorous and engaging challenges and games. Readers get an introduction to computer science as they gain the confidence to explore, learn, and create on their own. The last part of the book introduces kids to the world of physical computing where they create interactive projects with lights, buttons, and sounds.